Ariana Alvarez is an Account Marketing Manager with WriteAway Communications Services, where she specializes in social media and online marketing and video production services. Ariana is a whiz with online media, from website updates, blog posts, and social networks to e-letter production, e-mail marketing and marketing research. Ariana holds a Bachelor of Arts degree in Digital Video Production and a minor in Communications from Sacramento State. Before joining WriteAway, Ariana worked for four years assisting top-level marketing professionals and providing administrative support. She possesses strong customer service, social media, and communication skills along with an extensive background in administrative assistance and marketing support. At her former employer, ACT West Region, Ariana specialized in customer service and multi-media marketing presentations as well as administrative support. She assisted ACT marketing consultants with client needs along with coordinating meetings, preparing reports, and assisting with presentations. She also responded to requests for information and participated in the processing and editing of project materials. More recently, Ariana worked as an affiliate marketing coordinator for nuvoTV, where she assisted the marketing and sales teams in developing effective affiliate marketing strategies. She assisted in the development and implementation of marketing campaigns/promotions, coordinated participation at trade shows and affiliate events, and worked with internal departments to garner information for all affiliate sales. She also worked with the creative and digital media departments to create PowerPoint presentations and marketing materials. 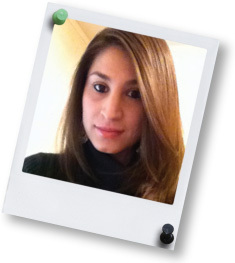 Ariana has experience in short video production and editing with a broad knowledge of Final Cut Pro. At WriteAway she is excited at the opportunity to put her video skills to work as the company expands to offer video marketing services.